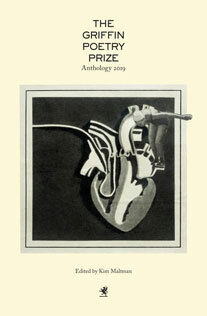 … and you could win a free copy of The Griffin Poetry Prize Anthology 2019! To enter, fill in the following form and send us your guess for the Griffin Poetry Prize 2019 International and Canadian winners. All correct answers will be entered into a random draw from which 10 winners will be selected to win a a free copy of The Griffin Poetry Prize Anthology 2019. The contest is limited to one entry per contestant. The contest closes Thursday, June 6, 2019 at 12 noon ET. Note: E-mail addresses submitted via this form are only used to contact winners.